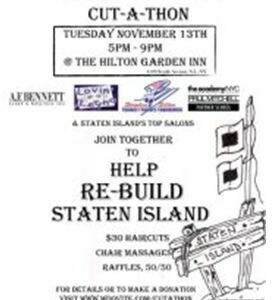 On Tuesday, November 13th, Top Salon House of Trends along with 20 other Staten Island salons, participated in “The Sandy-Relief Cut-A-Thon” fundraiser held at The Hilton Garden Inn in an effort to help rebuild Staten Island. Hair cuts were only $30. 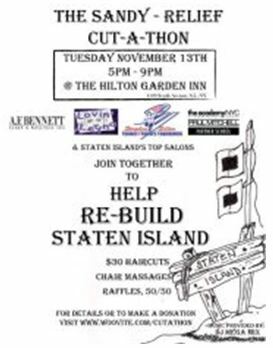 All proceeds went to The Stephen Siller T2F Foundation’s Hurricane Sandy Relief Fund. We want to say thank you to all of you who came out and donated to this Cut-A-Thon. Blog | August 25, 2015 .